Congratulations on getting your NUERA Smart Camera! Let us unbox the NUERA and explore a little bit. Connect the RJ45 end of Ethernet cable to your PC/Router/Ethernet Switch and circular connector end(for NUERA standard) to NUERA Smart camera. 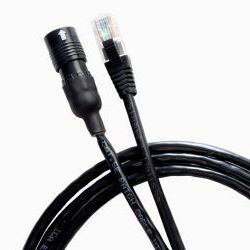 For NUERA Pro version standard, RS45 cable will be used. It is assumed that you have access to a 230V AC plug to power NUERA using the 24V DC power adapter. Connect NUERA power cable’s circular end to NUERA and other end to power adapter 2Pin connector. In addition to power lines in the Power-IO socket in NUERA, you can access 2x general purpose input, 2x general purpose output and RS232 (RX, TX). Complete pin-out details are available here. 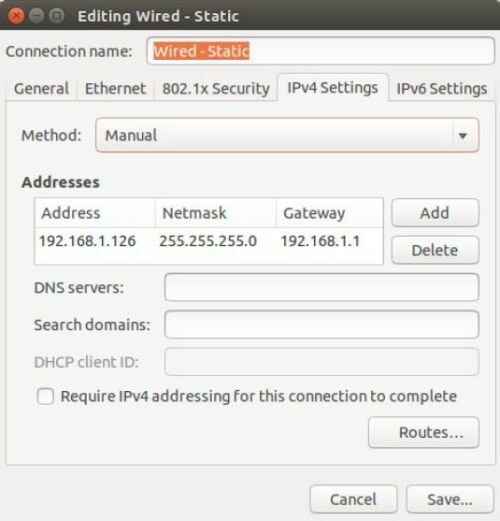 Under the IPv4 Settings tab, select the method as Manual and click on Add button. Enter any address except 192.168.1.0, 192.168.1.1 or 192.168.1.222. Set Netmask as 255.255.255.0 and Gateway as 192.168.1.0. NOTE: If you plan to work with NUERA Smart camera using Ethernet crossover cable, you can check the ‘Automatically connect to this network when it is available’ option in the General tab. 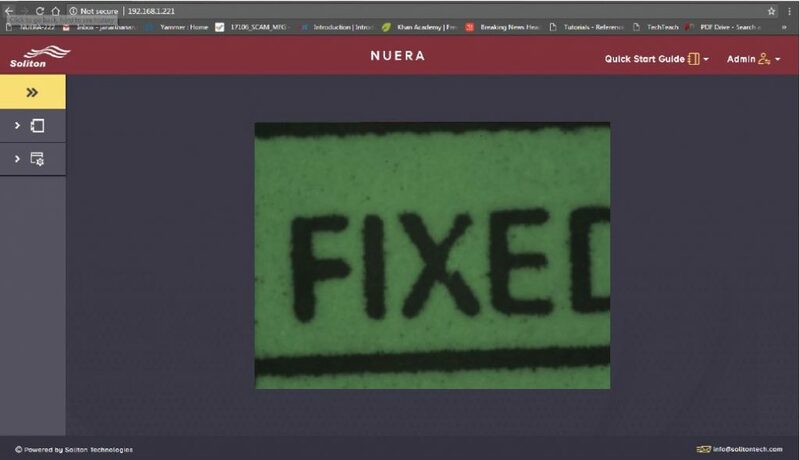 WebGUI in your browser by simply entering the NUERA Smart Camera’s IP address (default: 192.168.1.221) in the address bar of any web browser (Google Chrome is the recommended browser). Image Sensor settings like sensor gain, exposure time, ROI, trigger mode, etc. Network setting IP Address of the camera. Peripheral settings like for strobe light, configuring different servers running inside. Select Application type – example threshold, value, etc. 2018 © Soliton Technologies. All Rights Reserved.